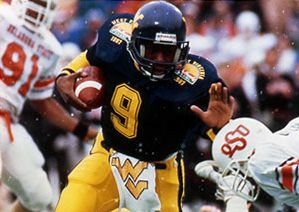 Tony lays out the fun history between WVU and OSU. Saturday’s game with Oklahoma State will be the fifth all-time meeting between the two schools. That’s not a stat that makes you say wow, but it is when you consider that the first two meetings came in 1928 and 1929. What? Yeah, 1928 and 1929 which, at least in my mind, opens myriad questions. The first being why in the heck did West Virginia and Oklahoma State (then known as Oklahoma Agricultural and Mechanical College or Oklahoma A&M) even think about playing a home-and-home series in the middle of the season in the 1920s? How does that even happen? Just how many other colleges did the train pass along the way from Stillwater to Morgantown? Fine, you want to treat the boys to a road game, how about heading into Ohio for a date with Otterbein? And, it’s not like the game was scheduled at the start or end of the year. No, the game was played smack dab in the middle of the season with both teams playing the week before and the week after their encounter. All of this is being offered without even mentioning the fact that the 1929 game played in Stillwater just happened to take place less than two months after the start of a little event called The Great Depression. I’m not making this stuff up. On Sept. 4, 1929, stock prices in the United States began a precipitous fall. The world as we knew it was about to change forever.